What would it take for you to drop everything and pursue your hearts most truthful dreams?.. To leave the comfortable, stable world you have created in exchange for liberating uncertainty?.. To say goodbye to everything and everyone you’ve become accustomed to in everyday life and just drive into the horizon? For me all it took was one day, one decision. A decision to live the life I always dreamed of without letting the fear of failure hold me hostage. I could have produced a million arguments on why taking such a profound risk and moving across the country was a bad idea — my perfect boyfriend, my loving family and friends, my high-paying job, or my overwhelming student loans and other assorted monthly bills. All excellent reasons to stay in Maine and continue to chip away at my debt in hopes of a brighter future. But that’s the thing, I am far too stubborn and impatient to sit and wait for my happy ending, nor am I even certain that there is such a thing waiting for me. From this notion I took fate into my own hands to pursue a life of everlasting happiness, one that is not dependent upon outside influences or material possessions. I have decided to be happy and it’s as simple as that. I made the long journey from Maine to Colorado just over a month ago. I would be lying if I said it was easy, or that some magical sense of security waved over me as I drove away from my city of comfort. I left Maine terrified, excited, confused, anxious, but mostly astonished. I was astonished by my own actions, by the immense courage I found buried deep within little ol’ me. I never imagined I’d have the guts to make such a profound and risky move in such a short period of time. I realized that too often we underestimate the power of our beings, thereby refusing to step outside our comfort zones. What most people don’t understand is that the human spirit is so much stronger than anything which can happen to it. Why should you wait for the universe to test that strength when you can see for yourself by pushing past perceived limitations? Do something you never thought possible because as I’ve found, all important things fall into place when you do. 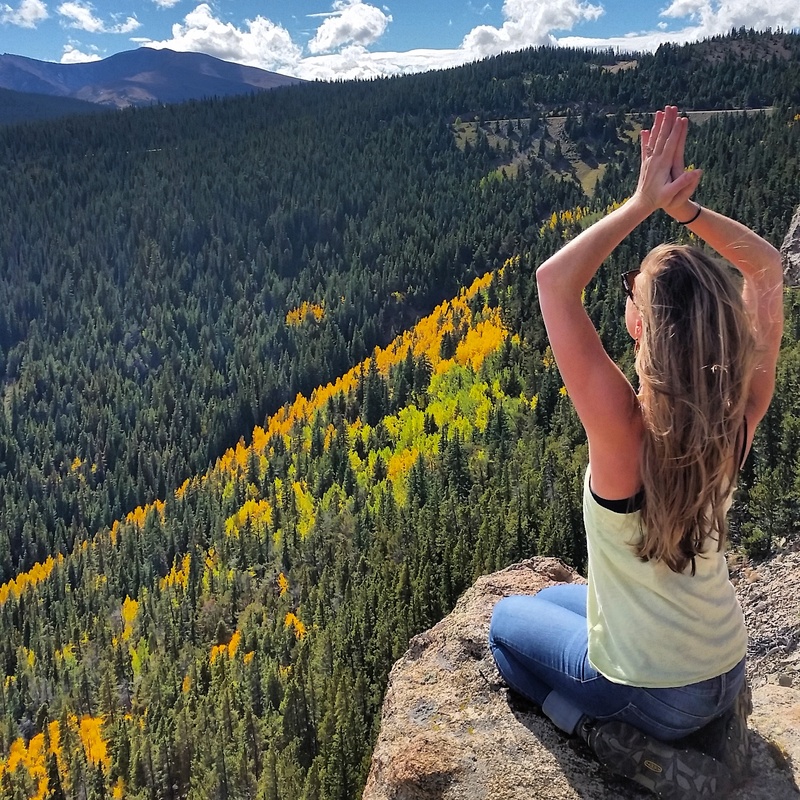 So here I am, living in Colorado, training to become a certified yogi and exploring all that it has to offer. My relationship didn’t crumble – actually quite the opposite, my family and friends still contact me daily, and I am not poor living on the streets (yet). Life is so so good.